I have a bunch of .flp files that I downloaded that use Fruity Soundfont Player, which I don't have (because it was discontinued before I bought FL Studio (for some reason)), so I've been working on replacing all the instances of FSP with DirectWave. One problem I've run into is the "MOD" wheel in FSP. I don't know what it does (it might be vibrato but I'm not sure), and I have no idea how to replicate it in DW. 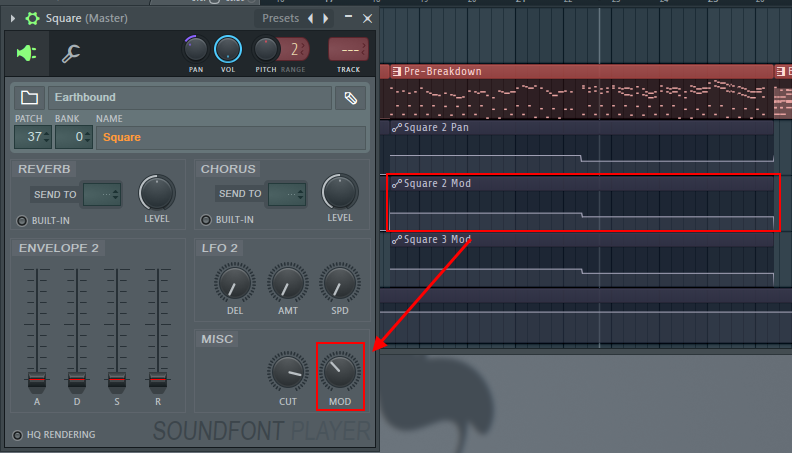 One of the .flps has it linked to an automation track, as well. 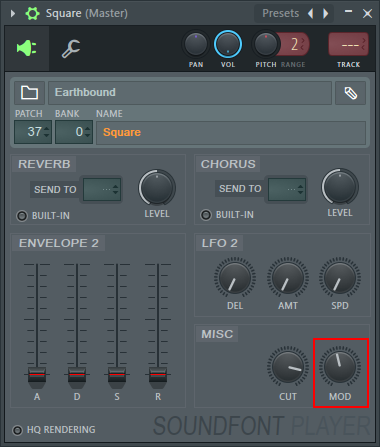 Can someone please explain what this parameter does and how to replicate it in DirectWave?